I hope this edition of the Bulldog Bulletin finds you well and enjoying the springtime weather which has finally returned! It has been exciting over the past few weeks to see our new track used by our athletes during practice as well as the return to track meet hosting with both a junior high and high school meet at Bulldog Place. We will have the opportunity to showcase our facilities once again when we host the SBAAC league track meets at the end of the season. The junior high meet will be held on Monday, April 29th and the high school meet will be held on May 6th and May 8th. At Batavia High School, a group of students have been arriving early to school once a month in order to participate in the Chick-Fil-A Leadership Academy. I am proud of the extra effort these students have put into developing their talents as leaders and their commitment to service in the community. The final project for this group of students is a fundraiser for the Batavia Backpack Program, which provides food to those in need during times when school is not in session. The fundraiser is a ‘Singo’ event (bingo with music) and it is an 80’s themed night full of one hit wonders and singalongs! The event will take place this Wednesday (4/17/19) at Batavia Elementary beginning at 6:30. It will be a great time for the whole family and we hope you will come out and join in the fun! More information can be found by clicking here. Also happening soon is the fourth and final parent forum of the year, which will be occurring on Monday, April 22nd from 6:15 to 7:30 at Batavia Elementary. The theme for this event is career and college readiness, with a specific focus on holding an open dialogue about the direction and focus for the District as we think about the future of learning in our rapidly changing society. This parent forum is a perfect opportunity to begin an important community dialogue as we begin to think about the design for our new buildings and how the spaces should come together in order to support teaching and learning. During our time together we will explore educational shifts (what should we let go of and what should we move towards) as well as brainstorm about innovative ideas that can help connect our learning community to the wider Cincinnati community and beyond. Finally, planning is well underway for phase one of the Bulldog Place building project, which is focused on improvements to the athletic complex. Below are a few drawings that highlight this phase. Special thanks go out to the members of the Athletic Facilities Committee and the input they have provided which has helped to shape this project. Currently the project is out to bid, and bids are going to be opened on April 24th. Once the low bidder has been identified contracts will be finalized and construction is scheduled to begin on May 13th. The current timeline has the expanded/renovated home concession stand and football/soccer field scheduled to open on August 1st, and the remainder of the project slated for completion by November 1st. Finally, we are still on track for the school building portion of the project to be formally approved by the State in July, which puts us on track for selecting a project architect late this summer in order to begin the design process for the new buildings. Photo 2: New entrance plaza and renovated/enlarged concession stand. Photo 5: New visitor pressbox, concession stand, and restroom building (which will also serve baseball, softball, and tennis). Photo 6: New Athletic/Maintenance Barn, which will sit next to turn 4 of the track (this will serve as the replacement for the current barns at the high school and middle school once the building project is completed). As our third parent forum of the year is quickly approaching (Tuesday 2/26), I wanted to take a moment in the Bulletin to share how excited we are to have Mary Wolff from the Clermont Prevention First Council as she presents ‘Hidden In Plain Sight’. The program will feature a mockup of a bedroom, and participants will have the opportunity to explore the room and look for the warning signs that substance use may be occuring. As the landscape for drugs, alcohol, and tobacco is quickly evolving, what we are finding is that items which may initially appear innocuous can in fact be concealing substance use. After exploring the room, there will be an open dialogue on the ways that substance use is currently being hidden from parents, and participants will walk away with a variety of prevention tools along with a greater understanding of warning signs to look for that may be signals substance use. Several other school districts, including Goshen and West Clermont, have recently hosted this program, and the response has been very positive. The program begins at 6:30pm and will be held in the cafeteria at the Elementary School. Due to the nature of this topic, we are asking that no students or young children attend this forum. Another event that is quickly approaching is the Batavia Spring Musical, Beauty and the Beast. Performances will be held on March 7 - 10 at Batavia Elementary School. As a lead up to this event, the annual character breakfast will be held at the elementary school on March 2nd from 10 to 12. For more information on the Character Breakfast please click here. Finally, the annual Band Booster Quarter Auction is coming up on Saturday, March 2nd at Batavia Elementary School. Doors will open at 5PM and the auction will start at 6pm. In addition to the auction, there will be a one of a kind Batavia t-shirt quilt that will be raffled off. This event is always a lot of fun for the whole family and we hope you are able to make it! Here’s to warmer weather and more sunshine right around the corner. As a follow up to Friday, February 8th, I wanted to take the opportunity to say thank you to all of the staff, students, and community members who came out in support of Deputy Brewer and all of our first responders. It was a rare and moving day in Clermont County that we all hope is never repeated but was also very humbling to be a part of. Shifting gears to the end of February, our third parent forum of the year is coming up on February 26th and will feature the drug and alcohol awareness program ‘Hidden in Plain Sight’. We are excited to partner with Mary Wolff from the Coalition for a Drug Free Clermont County to present this informative evening that will teach about signs to look for that can often be overlooked regarding drug and alcohol use by teens. The program will be held at Batavia Elementary beginning at 6:30pm. Finally, for parents of current students in grades 6 - 11, the course scheduling process is about to begin for the 2019-2020 school year. Be looking for more information to be coming from your child’s building in the coming weeks. Also at the elementary school, the STEM enrichment club has been busy with a number of computer coding projects, physics experiments, and an inventor's lab. We are looking forward to a presentation by this group at the upcoming February Board of Education Meeting. At the Middle School, a special congratulations goes out to our Future City team, which finished second at the State competition earlier this month. While they just barely missed a first place finish and a trip to Nationals, they did earn a number of awards, including People’s Choice, Most Environmentally Friendly, Best Use of Energy, Best Architectural Model, and Best Infrastructure. In other STEM activities at the middle school, our 6th grade science students have been completing monthly STEM activities, including; tallest marshmallow tower, stacking cups utilizing tools into a pyramid design, making a personal flotation device (PFD) to float a can of vegetables as well as to “save a plastic baby”, and creating 3-D cell models based on the function of the organelles. Our 7th grade science students recently completed designing and building marshmallow catapults, and our 8th grade science students just completed construction of a 3D topographical map of Batavia. On the service front, the National Junior Honor Society recently completed a canned food drive, with over one thousand items donated to The James Sauls Homeless Shelter to support those in need in our local community. At the high school, students involved in the Chick Fil A Leadership Academy just completed a very successful blanket drive that supported residents of the Clermont County Seniors Home, and BPA is once again on track to raise almost $10,000 for the Polar Plunge which supports the Special Olympics, which is no small feat when it is an annual event! The National Honor Society is currently focused on their winter service project and will be completing painting projects throughout the high school. NHS also is coordinating the high school recycling program and the Alan Gordan Scholarship fund. The Interact Club recently painted the flag stand in Downtown Batavia, as well as volunteered for the Rotary Spaghetti Dinner. Interact will also assist at the annual Rotary Easter Egg hunt as well as volunteer for the East Side Challenge. Student Council is currently planning the annual Pennies for Patients campaign in March to support cancer research. Finally, the Robotics program at the high school was recently awarded a grant to purchase a Vex Robotics competition surface, which will allow Batavia High School to be a host site for future robotics competitions. It is exciting to see such a large number of students from all of our buildings involved in service to the community as well as engaging in learning activities that support future workforce directions! Last but not least, tonight (Friday 2/1) is the Win for Watson basketball game vs. Goshen at Batavia High School with the Varsity tip-off scheduled for 7:30pm. The response from not just the Batavia Community but also the entire Cincinnati region has just been amazing to watch. All of the proceeds from tonight’s game will go to support Nate and his family as he continues his battle against Hodgkin's Lymphoma. For more on Nate’s story, please CLICK HERE. Here’s to hoping that we’ve seen the last of the super cold weather and that the groundhog doesn’t see his shadow! As we close out the 2018 calendar year, I wanted to take a moment to wish everyone a joyous holiday season and a Happy New Year. I hope that the break provides time for family connections, rejuvenation, and reflection on events of the year past along with the promise of the year ahead. In the District our holiday concert season has wrapped up, and I couldn’t be prouder of our students and their performances. A special thanks to Dave Smith, Emily Smith, Karen Allen, and Brett Floyd for all the work they put into our performing arts groups! Pictures of these and other recent District activities can be found by clicking here. 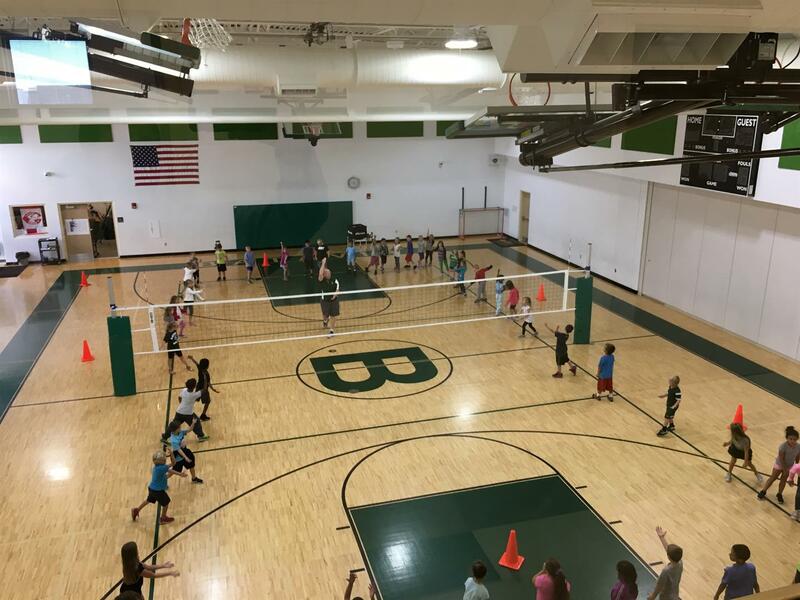 Another recently completed activity that has become a semi-annual tradition is the awarding of teacher grants by the Batavia Schools Foundation. Now in its fifth year, the Foundation provides grants to support innovative classroom projects and experiences that benefit Batavia students. This past week almost $3,000 was awarded in the Fall 2018 grant cycle. 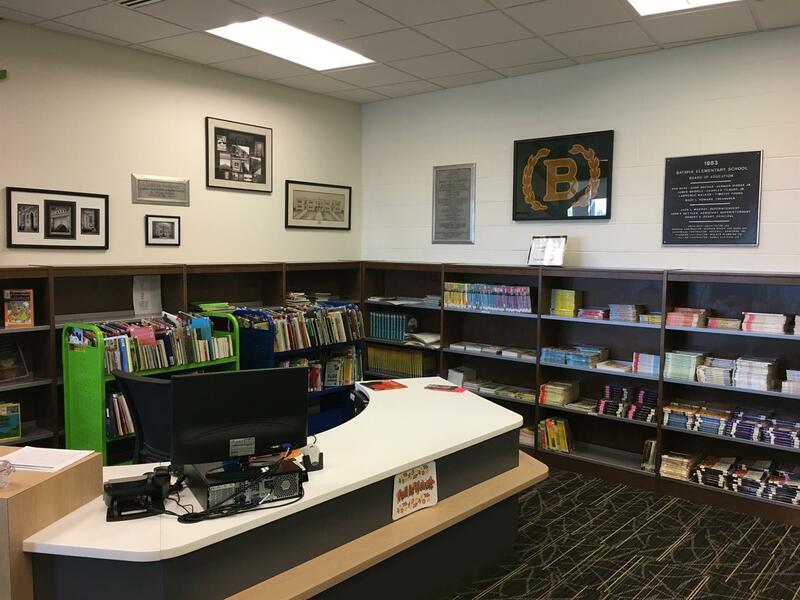 Projects receiving funding included the Batavia High School Robotics Team competition surface, the BPA State Conference, the BHS ‘It’s Electrifying’ program, COSI on Wheels at the Elementary School, and a learning space enhancement for the 3rd grade pod area. In addition, two middle school projects were supported through a private donation and the repurposing of a District resource. The next round of grants will be awarded in May 2019. For more information on the Foundation, including ways to financially support this important work, please visit the Foundation web page by clicking here. Finally, at the most recent Board of Education meeting, Elevar Design Group was selected as the firm that will provide architect and design services for the first two phases of the Bulldog Place project. Phase one, which is currently in the planning phase, is focused on the conversion of the stadium, baseball, and softball fields from grass to turf. The timeline for completion of this phase is August 2019 for the stadium field and early fall 2019 for the baseball and softball fields. We are pleased that this partnership also reunites the District with the Kleingers Group, which was instrumental in the tennis court and track projects as well as in parts of the elementary school construction project. 2018 was a big year for the District, and 2019 holds great promise for an even better year. Thank you, as always, for your support of the District, and here’s to all that is to come. Over this time period there have been countless individuals who have been involved in discussions, planning, and meetings to get to the point where turning the vision of completed Bulldog Place into a reality was possible. During this thirty-six or so month journey, the have been lots of twists and turns in the road, as a project like this never goes from point A to B exactly as planned. Along the way, there have been so many talented people who care deeply about Batavia who have helped to navigate this process….we wouldn’t be where we are without them, and I deeply appreciate everyone who has been involved in getting the District to this day. Moving forward, the project will unfold in four phases. Phase 1, which is already underway, is focused on the conversion of the playing surfaces at Holman Stadium and the baseball/softball complex to turf, and is expected to be done late next summer. Phase 2 will take place in two parts. The first part will be the design and completion of the remainder of the athletic facility and campus upgrades. This will start sometime next spring and will wrap up somewhere in the first half of the Spring of 2020. The second part is the design of the buildings. This is a fifteen to eighteen month process, and the goal is to get this going as soon as possible, with a target completion timeframe of Summer 2020. Phase 3 will be the construction of the buildings, with a target goal of completion by late Summer 2022. Finally, Phase 4 is the repurposing of the current high school, which is scheduled for the 2022-2023 school year. With a project of this scope, timeframes are always intertwined with many other variables (for example, the weather), and my commitment will be to regularly communicate on the progress of the project. Also, there will be opportunities to participate with input as the design process for the buildings gets underway, and I will share specifics about these sessions as we get closer to that point. 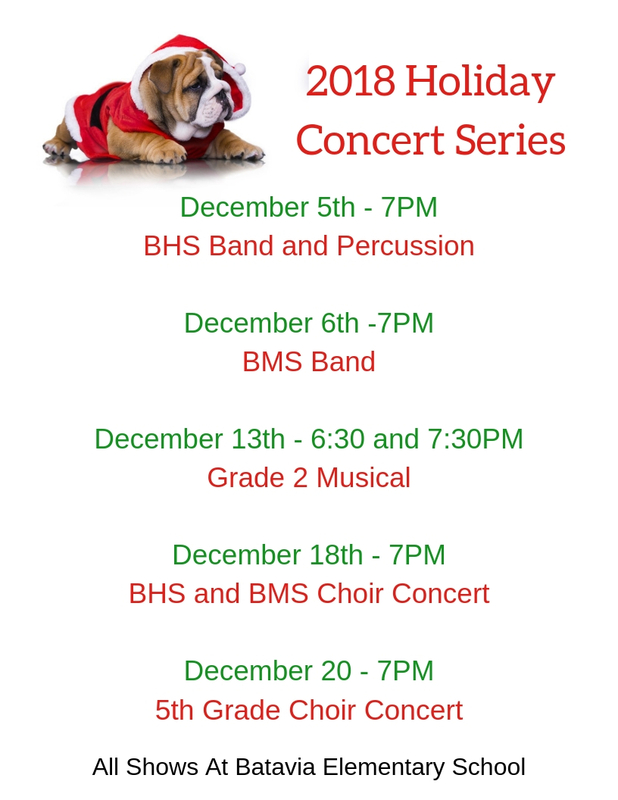 The other major item to share in this Bulletin is the annual schedule of our holiday concerts and events. The elementary school will be hosting the annual ‘Breakfast with Santa’ on Saturday, December 8th from 8:00 to 10:30. Below is the flyer that contains the fine arts performing dates for the season. As always, thank you for your continued support of the school distict. It is an exciting time to be a Bulldog! It’s been a busy twenty four hours since the election! Here is a quick update about where we are at the moment. The current unofficial vote count has us up by 95 votes (2459 to 2364), with the provisional and remaining absentee ballots still to be counted. We expect that these will both be counted on November 16th, after which the vote count will be certified and the election results official. At this point we are not expecting the outcome to change, but we certainly need to wait until the results are official before declaring final victory. That being said, work began today on the planning process that should have us breaking ground on the athletic field portion of the project this coming May assuming the election results remain as they are. I couldn’t be more excited for our students, staff, and family members with the outcome last evening. This project, when completed, will be transformative for the District and will have benefits that will be enjoyed by the entire community. A special thank you to everyone who supported and worked on the Bond Issue, as the opportunity we now have before us would not have been possible without each and every one of you. I will share more details as they become available in the coming weeks. A few quick things for this special edition of the Bulldog Bulletin. First, school is not in session for students on Tuesday, November 6th. During this day our staff will be involved in full-day professional development meetings. Our elementary staff members as well as math and elective teachers from the middle and high schools will be spending the day learning more about trauma informed practices and effective ways to work with students who have experienced a variety of traumas and their potential learning impacts. Our middle and high school English, social studies, science, and special education teachers will be spending the day with the Ohio Writing Project and examining strategies for students to effectively communicate ongoing learning through written means. We are excited to have the opportunity to participate with outstanding partners for both of these learning sessions and believe there will be an immediate impact at the classroom level as a result of the time spent in both sessions. Tomorrow is also Election Day. As there are a number of important issues on the ballot in a very busy midterm election season, I would encourage all registered voters to please be sure to cast a ballot tomorrow if you have not already done so. Finally, the next round of ALICE safety drills will be taking place in the next week at all three buildings. There will be a drill at the high school and middle school on Friday, November, 9th and at the elementary school on Monday, November 12th. This round of drills will focus on a specific emergency plan scenario as part of our annual testing requirements with the State of Ohio and the Department of Homeland Security. If you have specific questions please contact your building principal. As seems to be the new normal, we somehow missed the 60 and 70 degree temperatures in our journey from summer weather to late fall weather. The good news in all of this is the leaves have held on longer than normal, and we should enjoy lots of colorful trees over the next several weeks. This Friday (10/26) the high school football team will celebrate Senior night and play a very important game against Western Brown. With a win and a bit of help the team has the chance to make the playoffs for the first time since 2012 and for the fourth time in school history. We need as many people as possible to come to Holman Stadium to provide a big Bulldog home field advantage. The senior recognition will begin at 5:45 with kickoff scheduled for 7:00. Looking ahead, we are closing in on Election Day and the bond issue that the District has on the ballot to finish Bulldog Place. On Monday, October 29th there will be informational sessions held at both the Village of Batavia Offices and the Township Administrative Offices from 4:30 to 6:00pm. These will both be drop-in style open house events where questions can be answered in an informal setting. Finally, the first annual Fall Bulldog Craft Fair is this Saturday (10/27) from 9:00 to 3:00 at Batavia Elementary. There will be over 60 vendors, performances by music groups from Batavia High School, and food for sale. This event benefits the Batavia Schools Foundation, and is a great way to kick off the coming holiday shopping season. Looking forward to seeing you at these upcoming events! For this edition of the Bulldog Bulletin there are a number of important upcoming dates and a District highlight to share. 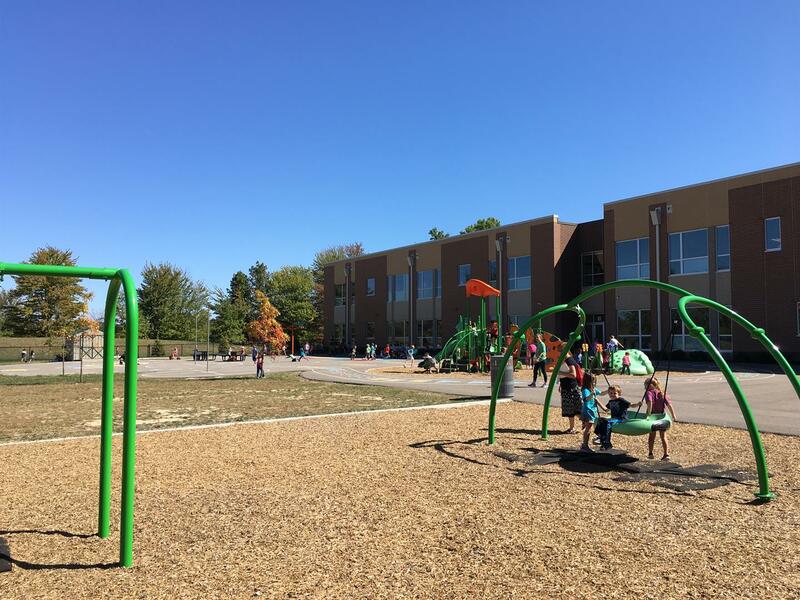 To lead things off, the final community meeting to share about the master facilities plan and upcoming bond issue will be this coming Tuesday, October 9th, from 6:30 to 7:30pm at Batavia Elementary School. This is also the last day to register to vote in the November Election. For more information on registering to vote, click here to access the Clermont County Board of Elections website. Our second community forum of the year is also coming up on Tuesday, October 23rd from 6:15 to 7:30pm at Batavia Elementary School. The topic for this forum will be online safety and social media awareness. We had a great first session on school safety and hope you will be able to join us as we share ways to keep our kids safe while using their devices. On October 27th the District will be hosting the Bulldog Fall Arts and Craft Fair at Batavia Elementary from 9am to 3pm. There are almost 60 vendors signed up for this event, and it will be a great way to get an early start on the holiday shopping season and support the Batavia Schools Foundation. In addition to the large selection of vendors, there will be performances by several of our band and choir groups throughout the day, as well as food available for purchase. Click here to view the flyer for this event. Finally, in the just around the corner category, the annual Rotary Spaghetti Dinner will once again be held on Saturday, November 3rd at Batavia High School beginning at 5pm, and the 5th annual Bulldog Social will be returning to Norlyn Manor on Saturday, November 10th from 7 to 11pm. Finally, the District is proud to partner with Supply Chain OKI in an effort to introduce students and families to career opportunities available in the field of supply chain logistics. The upcoming internship partnership for students at TQL is a direct result of this partnership initiative. Students from the high school recently had an opportunity to participate in a career fair at UC Clermont with companies in the supply chain logistics field, which gave them an opportunity to explore a very specific career cluster as well as discover opportunities for both employment and higher education options. The website article on this event and participating company information can be found here. Looking forward to seeing you at one of these upcoming events! P.S. A cool new online publication is in the works at Batavia High School. We can’t wait to show it off in the coming weeks. Stay tuned! As we enter the closing days of September, we have two important dates on the calendar coming up that I wanted to share in this edition of the Bulletin. On Tuesday, September 25th at the Elementary School we will host the first of four community forums I shared about in the August 8th edition of the Bulletin. School safety will be the topic for this forum, which will begin with refreshments at 6:15 and the main program starting at 6:30. From 6:30 to about 7:00 we will share about enhancements to our safety practices that are new this year, provide an overview of safety training that occurs throughout the year, discuss the role of our new school resource officer, and share about communication both from situational as well as preventative perspectives. At the conclusion of the presentation there will be a time for open discussion and questions. If the group is large enough we will break into smaller groups by building, with the building principals leading each discussion group. 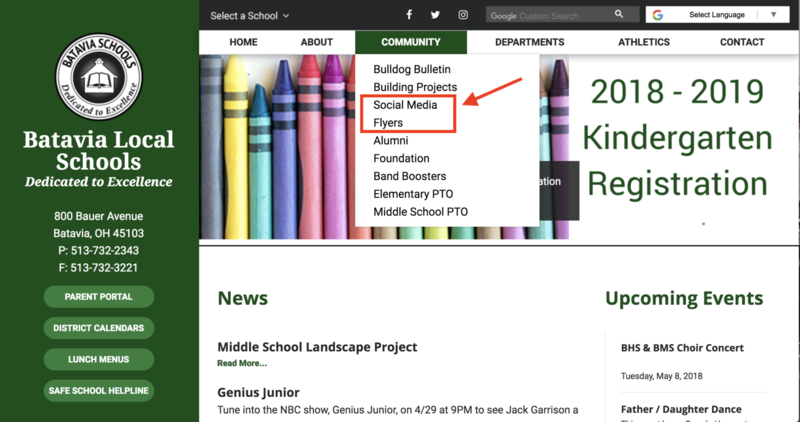 Finally, for our elementary parents who are regular readers of the Bulletin, two additions to the elementary website have recently been added. The first is a page dedicated to attendance resources, and the second is a page for Title I, which covers a variety of reading and literacy activities that occur daily at school. I hope the school year is off to a good start for everyone, and that we all get to enjoy a little bit of fall weather in the coming weeks and skip the summer straight to winter transition that seems to happen all too often! Welcome back to the 4th year of the Bulldog Bulletin. For those new to the District, the Bulletin is put out every other week, and highlights important events and activities from around the District. Outside of the rain we just can’t seem to escape at elementary dismissal, we’ve had a great opening to the school year. Fall is always an exciting time and we love seeing both Bulldog Place and the Middle School campus full of students and busy with activities. New to the District this year is our school resource officer Brian Fletcher. While new to the role, Officer Fletcher has been serving Batavia as a member of the Police Department for several years and he is an active member of our community. He has a visible presence in all of our buildings each day, and he is developing great relationships within each school, which is a key part of the SRO position. The SRO position is a joint venture between the District and the Village of Batavia, and we are appreciative of the support from Village Council and the Village Administration. Staying with the topic of school safety, a new journey we are undertaking as a District this year is growing in our understanding of Trauma Informed Practices and developing resilience in children who have experienced trauma in their lives. We were fortunate to have Dr. Robert Shapiro from Children’s Hospital as the featured speaker at our annual kickoff meeting. Dr. Shapiro spoke about the concept of adverse childhood experiences (ACEs), and ways in which staff members can respond in order to allow for healing and permit learning to continue. Earlier this summer members of the administrative team attended training on childhood trauma, and this past week teams from each school attended training on the Resilience Project, which will be brought back to each staff in building level trainings this fall. The elementary school will be taking a deeper dive into building student resilience during the November inservice day, and all building staff members will be exploring steps to reduce the effects of childhood ACEs during monthly staff meetings this year. A critical strategy in reducing the likelihood of school violence is the creation of school climates where students feel strong connections to both one another and the adults in their lives. Our focus on developing resilience, positive character traits, and building cultures where students experience feelings of belonging and connection are important strategies in providing safe and positive learning environments for all students. One final note on this topic is a training that the administrative and counseling teams attended on threat assessments in early August. This year each building will be using the same model to evaluate concerns about student safety, which will allow us to have a more uniform response between buildings any time a concern about school safety is raised. We are using the Virginia Threat Assessment Model, which is nationally recognized as a proven tool in evaluating cases where there are incidents that may impact student safety. CLICK HERE to view an image of the decision tree that is used when processing any concern about student safety. On September 25th we will be hosting a District wide parent and community forum on school safety from 6:15 to 7:30 at the Elementary School, which will kick off our parent forum series for the 2018-2019 school year. I hope you will be able to join us as we will share more about these initiatives and other ongoing activities all designed to provide safe and secure learning spaces for our students. Finally, I would like to invite everyone to two upcoming events in the District. First, we will be holding our annual Military Appreciation Night on Friday, September 7th at our home football game vs. CNE. There will be a variety of activities beginning at 6pm leading up to our 7pm kickoff time. Then, on September 12th, we will have our second community forum on the upcoming November 6th Bond Issue to finish Bulldog Place. The meeting will be from 7 to 8pm in the Middle School library. Thanks as always for your continued support of the School District. It is an exciting time to be a Bulldog! Just a quick Bulletin to say welcome back to everyone as we get ready to kick of the school year on Wednesday, August 15th! The staff has been hard at work preparing for students to return and we can't wait to see your children and get what promises to be a great school year underway. Just as a reminder, the parent portal continues to be the best place to find current information regarding your child's bus route information, and it also contains links to access EZ Pay for school fees and cafeteria funds, Freedom Cafe to complete free and reduced lunch forms, and Progressbook to view student academic information. Finally, in spite of the best planning, the first days of school always contain small hiccups in transportation, and buses may run later than normal through the end of the week. Please be sure to double check the pick-up and drop off times in the parent portal along with the bus route number. Things always flow much more smoothly with busing after the first few days and we appreciate your patience and understanding. There is a lot to look forward to this school year, and I hope your student(s) have a great first day of school! We are a little less than a week away from getting underway for the 2018-2019 school year, and the campuses have sprung back to life with all of the student activities that signal fall is right around the corner. I want to give a shout out to start this edition of the Bulldog Bulletin to all of our K-12 students (and their coaches/advisors too!) who are involved in extracurricular activities. They have been hard at work since July (and before that for many) to prepare for the upcoming season. It is always exciting to see our students in action, and it is their energy that gives our District the special feel it has. In addition to the community meeting on the building project, something new for this year will be four parent learning evenings where all three buildings will be teaming up to present on topics of relevance for parents raising kids in today’s exciting but challenging times. Each evening will feature a short, half hour whole group presentation on a topic, followed by a breakout breakout session where parents will have a chance to dig deeper into the topic with their building administrators in smaller question and answer groups. These breakout sessions will also provide parents an opportunity to learn about current building happenings and provide feedback on various topics. 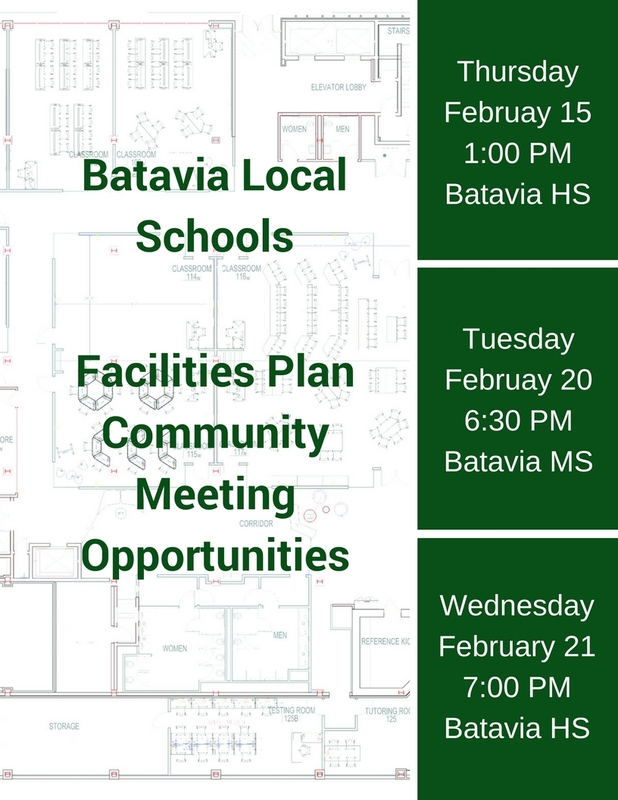 Each session will be held at Batavia Elementary School with light refreshments beginning at 6:15, the main program beginning at 6:30, and concluding by 7:30. We are excited to offer the parent learning series this year and hope you will be able to join us as we continue to partner on raising confident and successful students. I’m looking forward to seeing everyone back next Wednesday, and hope to see you at one of our community meetings soon. It’s the time of year again where you peek at the calendar and wonder where the summer has gone! Since school has been out our custodial, maintenance, and bus garage staff have been hard at work on projects throughout the District in order to be ready to welcome students back in just a few short weeks. From the new learning commons at the high school, the refinished flooring in parts of the middle school, landscaping repairs at the elementary, summer bus washing and maintenance, and a number of other projects in between, the staff that works behind the scenes to support our facilities has once again done an outstanding job and their work is appreciated. As we enter the second year with our Parent Portal, filling out back to school forms is easier than ever. For the majority of families that already have a Parent Portal account, the process is as simple as verifying existing information, making any modifications (especially new cell phone numbers or email addresses), and submitting the form electronically. A parent checklist has been created to help guide the back to school forms completion process which can be accessed BY CLICKING HERE. Another back to school item is communicating about annual notices that every school district provides to parents. Our annual notices are located on our website at can be viewed BY CLICKING HERE. Finally, as I shared in the March 10th Bulldog Bulletin, we will be instituting changes to how visitors are checked into the buildings beginning this fall. In order to access a building beyond the main office, visitors must present a photo ID or have their identity positively confirmed by an administrator. All visitors to a building will be required to wear a visitor badge that will be attached to a lanyard. More information on this change is available BY CLICKING HERE. I hope the months of June and July have been good for your family, and I am looking forward to seeing everyone back on our school campuses in just a few short weeks. This evening at the Board of Education meeting Mr. Tim Derickson was officially approved as the next Principal of Batavia High School. Mr. Derickson has served as the Assistant Principal at the high school for the past three years and brings over fifteen years of successful classroom experience to the position as well. The process for selecting the next principal was informed in large part by input from staff and community members. A strong vision and sense of purpose for the high school, an innovator's mindset, the ability to clearly communicate, and an understanding about future trends in education were all qualities highly valued in the staff and community feedback and are all strengths that Mr. Derickson possesses. I am excited to have Mr. Derickson assume the principal’s role, and believe that he will do an excellent job continuing the initiatives currently underway at the high school and working collaboratively with the staff, students, and community to chart the future direction for the building. This fall the new learning commons, new fabrication studio, and new engineering classes will all be coming on line at the high school, along with expanded course opportunities in our English and Science departments. It is an exciting time to be a Bulldog at Batavia High School and I hope you will join me in extending a warm welcome to Mr. Derickson as he transitions into his new role as building principal. There are several notable sharing events that have come up in the past week that are worthy of a special edition of the Bulldog Bulletin. At the Board meeting on Wednesday night approval was given for three important partnerships. First, I am happy to announce that beginning this fall the District will have a full time resource officer, which will be provided through a joint partnership between the Village of Batavia and the District. Work has been going on in the background for the past six months to make this a reality, and we are grateful for the support of the Village in our ongoing efforts to provide safe and secure learning environments for our students. Second, the Board approved an extension of our partnership with Mercy Health for athletic training services for the next four years. This partnership will continue to enhance opportunities for student athletes, and also paves the way for the potential of a school based health clinic in the future once the master facilities plan is completed. Finally, the Board formally approved the scope of the master facilities plan with the Ohio Facilities Construction Commission, which will allow our project to be considered for approval at the State level this July. This important step moves us closer to the November ballot issue in order to make the final phase of the master facilities plan a reality. The next piece of big news comes from the high school, were Mrs. Grooms has announced that she is stepping away from the principalship in order to return to her previous role as one of our high school counselors. Over the past three years Mrs. Grooms has dedicated herself in tireless service to the building, staff, and students, with the high school making major strides under her leadership. As she shared with the staff at the end of the year meeting on Thursday, being the Principal of a high school takes an extraordinary time commitment, and with a family that includes middle and high school age children of her own, she felt the time was right to take a step back and be able to focus on continuing to serve the students of Batavia while also being able to better balance her personal life. I am deeply appreciative for Mrs. Grooms service over these past three years, and I am glad that she will be continuing in her service to the District in the high school guidance office. We are currently working on outlining the process for identifying candidates for the high school principal position and will be working to have a candidate in place for approval by the June Board meeting. Finally, the students have only been gone a little over 36 hours and a major campus project has been checked off the list. With so much foot traffic at Bulldog Place, a number of barren spots in the grass have appeared (including a giant one where our elementary students play kickball each day!). Our maintenance and custodial staff spent the past two days spreading load after load of topsoil, and then applied seed and straw to ensure we have the maximum amount of time over the summer to establish the grass before students return in August. We are well on our way to having the campus look better than ever when the school year starts. For pictures of this project, click here. Similar to the past few summers, the Bulldog Bulletin will take a bit of a break, and will be published on June 30th and July 28th before resuming the normal bi-weekly publication schedule on Saturday, August 11th. While every graduation day is special, the ceremony for the Class of 2018 will be remembered for the conferring of a diploma to Mr. Ed Shinkle, Class of 1958, who left high school after his junior year to serve our country in the Navy and returned 60 years later to complete his Batavia High School journey. It was a very touching moment, and special thanks go out to the members of the Class of 1958 who attended the ceremony in support of Mr. Shinkle. In addition, the evening featured an outstanding senior class address by Mary Bradburn, and a special commencement address by Representative Brad Wenstrup that focused on the importance of committing to service and ideals above self. A photo gallery from Channel 12’s coverage of the evening can be found by clicking HERE, and the social media feed from the evening can be found HERE. This coming Wednesday is the final day of school for the year, and classes for the 2018-2019 school year will be resuming on Wednesday, August 15th. Over the next few months there will continue to be lots of activity at the buildings, as summer maintenance gets underway and we host a number of summer sports and activity camps. Information on these events will continue to be posted to each building’s website. Of note for all athletes in grades 7-12 is the opportunity to obtain a sports physical for only $20 at the High School on Monday evening (May 21st). The athletic department is once again partnering with Mercy Health to offer this required physical at a low cost to all athletes. The flyer for the event along with a link to download forms can be found HERE. Just as a reminder, the Board Meeting has been moved from its normal Monday spot to Wednesday, May 23 at 6:30 in the high school library. The next Bulletin will be posted on Saturday, June 2nd and I will be writing about several additional school safety steps that will be in place for the coming school year, along with providing an update on all of the exciting learning space transformations currently underway at the high school. Just a few quick things for the Bulletin this week as we head into the home stretch of the school year. Finally, we are a little less than two weeks away from graduation, which will be held on Friday, May 18, 2018 at BB&T Arena on the campus of Northern Kentucky University beginning at 7PM. We have a very impressive class that will be graduating this year and certainly wish them all the best in their future endeavors. The next Bulldog Bulletin will be published on Saturday, May 19th. Hopefully the snowflakes we saw on Wednesday morning will be the last, as it looks like spring is finally here to stay. The last several weeks of the school year are always full of activity as the current school year draws to a close and planning kicks into high gear for the coming school year. One of the areas we are currently working on is planning for the relocation of the current learning lab at the high school. This move is taking place to allow for the new fabrication lab to be created in the current learning lab space. This lab will be used by our new engineering class, our robotics club, and will also be available to students and staff members who like to tinker and build things. A special thank you to Hutamaki for their financial support in creating this new exciting fabrication space for students. Over the summer the back half of the library will be converted into the new high school learning commons. This space will be used by the learning lab and individuals and small groups of students sent by classroom teachers for project based work. 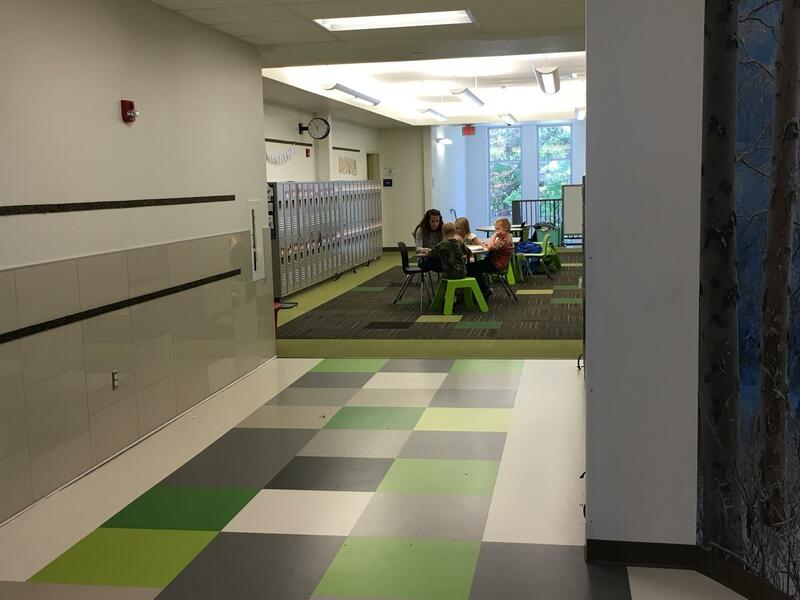 In addition, our College Credit Plus students who travel offsite for classes will have this space available to them, and the learning commons will also be open to all students each day after school. The new learning commons will contain multiple small group project spaces (including flat screen tv’s to view projects and collaborate on assignments), flexible furniture that can be arranged at the direction of students depending on the task, counter height project tables equipped with supplies students can self select in order to complete assignments, and lots of whiteboard space for brainstorming. 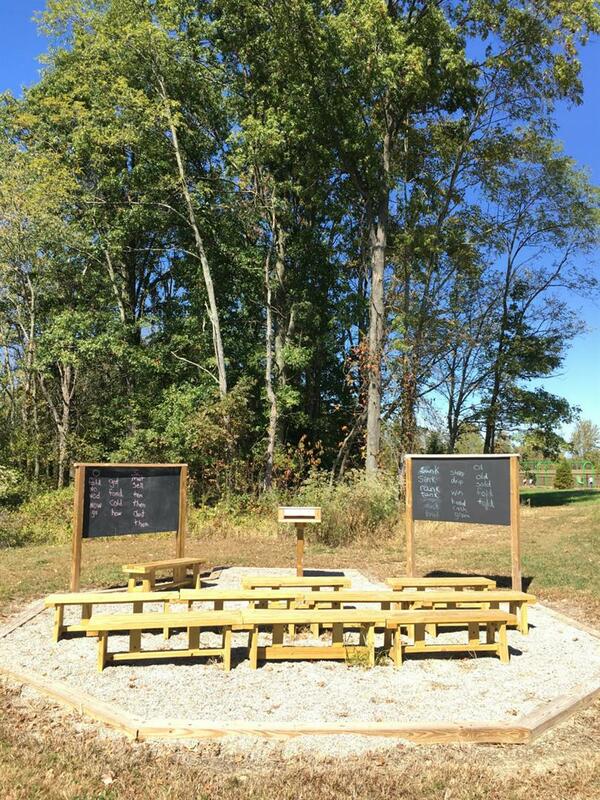 This space is being paid for with funds available from the Federal Government that are designated for student success initiatives. We are excited about the learning commons and the potential it has for students. 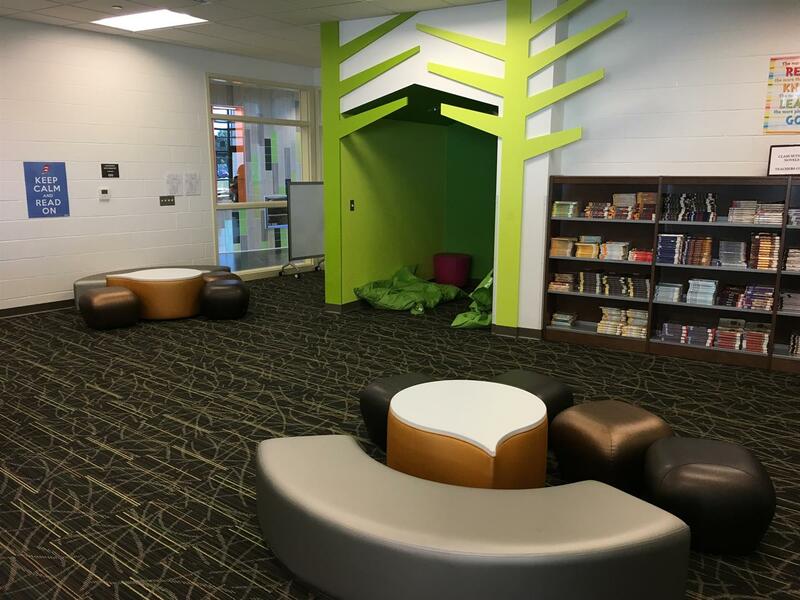 The thinking regarding transforming the library really began at the end of the middle school library refresh project that happened in the summer of 2017. 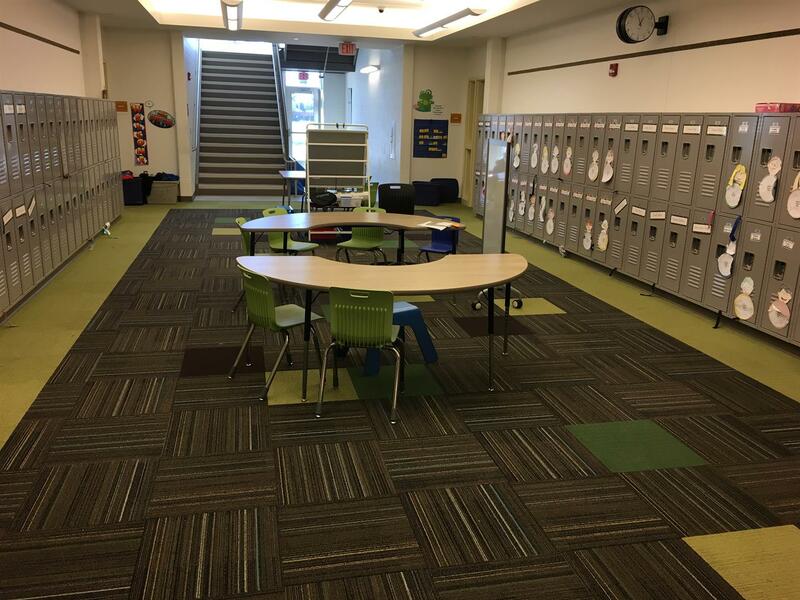 Having a place where students can direct their learning and have a variety of work space options is critical as we continue to focus on personalizing the student learning experience. We are looking forward to completing this project and seeing how it impacts student academic engagement and achievement. Finally, if you did not get a chance to see ‘Once Upon A Mattress’, you have one more chance Sunday at 2PM. The high school cast and crew along with Ms. Allen and Mr. Smith have once again put together an outstanding show that is thoroughly enjoyable! As we approach the summer months, many teenagers start thinking about summer employment. The Clermont County Library is a fantastic resource for summer job opportunity information, and will be hosting a teen job fair on Saturday, April 28th from 10 - 2 at the Union Township Branch. For more information on this event click here. In general, for employment during the school year, all minors ages 14 - 17 require a work permit that must be completed and authorized by the school district. In the summer, 14 and 15 year old students generally still need a work permit, while 16 and 17 year olds do not (although some employers still require them). For more information on obtaining a work permit click here. In other news around the District, the track project continues to go well, and new construction pictures can be viewed by clicking here. This week the annual spring State test season began, and so far everything has gone very well at both the elementary and middle schools. We are very proud of the effort our students are putting forth and want to continue to encourage them to do their best and show what they know. At the high school, testing begins next week and a late arrival schedule will be utilized for non-test taking students over the next three Mondays and Tuesdays. You can read more about the high school testing schedule by clicking here. Finally, the annual high school spring musical will be taking place on Friday April 20th and Saturday April 21st at 7PM and Sunday April 22nd at 2PM at Batavia Elementary. The students have been hard at work on this year’s production of Once Upon A Mattress. A video archive of the 2016 performance of Seussical The Musical and 2017 performance of Shrek can be found by clicking here. Hopefully by the time the next Bulletin is published on April 21st we will have seen our last snowflake! As it usually does, Spring Break snuck up upon us and we are now entering the final few months of the school year. One of the the areas of focus every spring are the State tests students take in grades 3 - 11. This is the third year the State has stayed with the same type of tests, so everyone has gotten into a rhythm regarding the format of the tests, how to take them, etc. The nice thing about testing today versus a few years ago is that it takes much less time and is much less disruptive to the students' school day. So, the biggest pieces of advice I always give to parents is just simply what I tell my three kids, which is eat a good breakfast, take it easy, show what you know, and give it your best effort. Thank you in advance for your supportive words to your kid(s)! It makes a difference. Finally, the new daytime entry system is up and running at the high school. 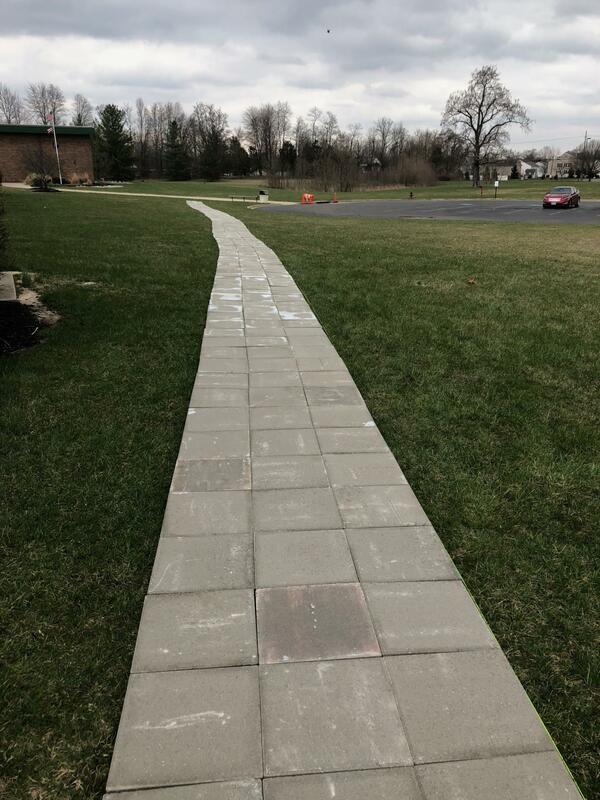 Special thanks to all of the students who helped with the installation of the new sidewalk. It was a lot of fun getting to work with them on a project that has a positive benefit for our District. The next Bulldog Bulletin will be published on April 7, 2018. All the best, and safe travels if you are out of town on break. Several quick updates for this week’s edition of the Bulletin. First, our track project is now underway, and the track will be closed until mid June. Like our other recent projects, we will periodically post pictures to document project progress. Special thanks to the Williamsburg athletic department for sharing their track with us while we undergo this exciting renovation. Also, we will officially dedicate the tennis courts at a ceremony prior to the first home match of the season on March 23rd at 4PM. 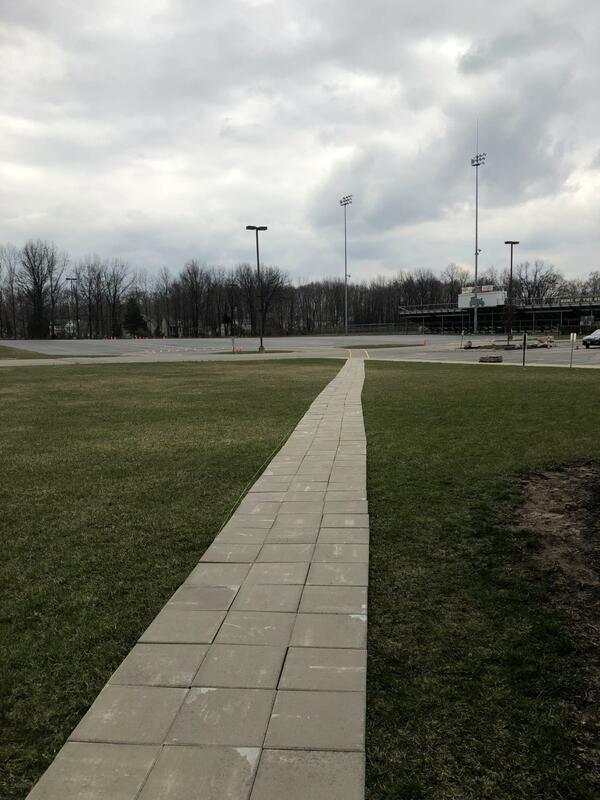 Second, based on feedback from students, parents, and staff members, changes are coming to the entrances at the high school beginning the week of March 12th (with full implementation occuring once the new connector walkway is installed). In order to provide for more secure access to the building, the student entrance will only be open from 7:00 - 7:45 each day, and will be monitored during this time period. After 7:45, this entrance will close and will be an emergency exit only with door alarms until dismissal at 2:15. All visitors to the building (at all times) along with students who arrive after 7:45 (or leave for CCP classes) must use the main entrance. Additional cameras have also been installed at both entrances that provide a significantly enhanced view from the main office. We are also in the early stages of examining changes to our visitor sign in and identification procedures as part of our ongoing review of security plans, and expect to be able to communicate more on this in the coming weeks. Finally, congratulations to Daniel Greiner for once again qualifying for the State wrestling tournament, our middle school wrestling team for winning the middle school state championship, our 8th grade boys basketball team who won the league tournament, and to all of the members of BPA who qualified for Nationals at the State competition this past week. Well done! Sometimes I look at events like those in Florida last week and struggle to even find words that are appropriate to convey the wide range of thoughts, emotions, and responses that come to mind from an event that is so horribly indescribable. False assurances of absolute safety aren’t right, a rehashing of all we do each day to ensure our buildings are secure feels overdone, and a statement of unity feels disconnected and hollow. The difficulty I believe we are encountering at this moment is the reality that there is a randomness of life events which lie mostly out of our control combined with the amplitude of media coverage in all forms (both traditional and social) that makes every event feel like it is happening in our front doors. While I would love to have the ability to guarantee with the utmost confidence that nothing will ever happen inside of our District, the reality from this most recent tragedy is that even when you take all of the appropriate safety planning steps, sometimes it’s not enough. Which leads to the rhetorical question and point of this Bulldog Bulletin, which is, ‘What then are we to do?’. First, it is essential that the lines of communication be open not only between home and school, but also between students and the adults in the buildings. Even this week there were several things, while not threats that posed a danger to students in the buildings, that we were able to deal with because of open communication. Please encourage your student(s) to say something to you or an adult in the building if they see/hear something that poses a threat to safety (and remember that there is a link to our safety tip line on the front of every school web page). Second, if you as parent (or student who reads the Bulletin) has an idea that you believe will help improve the safety and security of our buildings, please share it with us. In the coming weeks there are changes being made regarding the entrances at the high school that we will be communicating which are a direct result of excellent feedback from students, parents, and staff members. Finally, it is important to continue to talk to your student(s) about responsible use of social media, and maintaining a healthy skepticism of much of the content that we are bombarded by each day. While great tools, our devices can make things appear and seem much scarier than they really are. What we are finding is that images and posts take on a life of their own when students share/like/repost/etc., and that issues are created simply by the amount of attention something is given. Instead of re-sharing and adding to or creating an issue, the best advice is for students to share with you or a trusted adult their concern about what they see instead of adding to the problem by commenting, liking, or pushing it out and broadcasting to wider circles. While I can’t close the Bulletin this week with absolute assurances, I can simply say with all sincerity that as a District we continue to be committed to planning and practices that ensure the best we can that our learning environments and school campuses are safe for all students. Part of what makes this true is the strong partnership we have with our families, and I am appreciative of all that you do that collectively makes our District stronger. The next Bulldog Bulletin will be published on March 10, 2018. Over the past several months the District has been working with the Ohio Facilities Construction Commission and the architecture firm Elevar on finalizing the proposal to finish the Board's master facilities plan at Bulldog Place. This work has included updating the facilities assessment for the high school, solidifying the planning assumptions that were made in 2012 regarding facility locations on the campus, and developing a final direction for the project that allows the District to fully leverage the State dollars that are available for this final phase. As the State will pay 80% of the construction costs for a new building and renovated building on the campus, we have a unique opporunity to finish the entire master facilities plan for less than was asked for when the District was last on the ballot in 2012. For our last project, the District had to pay 51% of the cost and the State only picked up 49%, which is why we have such a unique opportunity in front of us. In order to begin thinking about the process of being on the ballot in November 2018 to secure the local funding necessary to complete the master facilities plan, three open community meetings will be held to share details of the final plan and answer questions about the project. This is an exciting time in the life of the District and I hope to see you at one of these upcoming meetings. The next Bulldog Bulletin will be published on Saturday, February 24th. While my crystal ball continues to be cloudy on what exactly work will look like for our graduates five, ten, and twenty years from now, I am convinced that there is a specific set of skills and traits that will provide a leg up for young people who will be entering the workforce. The reality of the new economy is that technology is fundamentally altering how work is completed, and current students have to internalize the urgent need to identify their unique talent areas where they can contribute in ways that machines can not. This imperative links back to why I believe so strongly in the move that was made to eliminate cell phones from the academic environment during the school day. The most successful workers in the future will be those who solve the riddle of using their ‘humanness’ to thrive in a work environment where automation is only going to increase and routine jobs will vanish. This is learned through deep engagement with academic content, and this must occur in a space where students can be unplugged from the distractions of the social side of their electronic lives. As screens and technology continue to permeate all of our lives, the challenge is to continue to think about what it is that makes us human, and to really contemplate to what extent our lives have become an extension of a portable computer screen. While this can be daunting to think about, I do believe that it will be this divide that will separate the economic ‘haves’ from the economic ‘have nots’ in the second half of the 21st century. While a lot of my time each day is devoted to the operations side of the District, I try to find the time to carve out spaces to explore these types of questions with staff and community members. It is through these discussions that we are able to identify ‘what’s next’ in terms of courses and programs offered in the district. While we are still currently in the planning stages, I am excited to announce that next year Batavia High School will be offering a brand new introductory engineering course, with an intermediate course on the drawing board for the 2019-2020 school year. This class is the next logical progression from the successful STEM and robotics clubs that have been offered at the middle and high school over the past several years. We are excited to be able to bring these courses to Batavia, and believe they will afford students the opportunity to engage in coursework that aligns with in-demand job skills in the labor market. The next Bulldog Bulletin will be published on Saturday, February 10, 2018. P.S. We’ll be putting more out about this soon, but the track renovation project will be kicking off on March 5th and will be wrapped up by the middle of June, which means the community will have a brand new track and tennis courts to enjoy as recreational options this summer! This is the last major project that is being paid for using remaining funds from the elementary project. More on that story can be found here. While it’s only the middle of January, planning is well underway for commencement exercises for the Class of 2018. New this year for current seniors is the Ohio Means Jobs Readiness Seal, which students can qualify for to have affixed to their diplomas and transcripts. Developed by the Governor’s Office of Workforce Transformation, the Department of Higher Education, and the Ohio Department of Education, this seal is a “formal designation students can earn on their high school diplomas and transcripts indicating they have the personal strengths, strong work ethic and professional experience that businesses need.”. Click on this link to be taken to the Ohio Department of Education website that contains more details for those who are interested. In addition to current seniors, any student in grades 9 - 11 may begin work on documenting attainment of the fifteen (15) criteria areas to earn the seal, so long as the activities occurred and were observable during high school (middle and elementary school time periods do not count). Another January event to recognize is Board Appreciation Month. The Ohio School Boards Association and the Governor’s Office officially identify this month for the purposes of recognizing school boards throughout the State for their critical role in the education of Ohio’s students. In Batavia we are fortunate to have an outstanding Board of Education that works on behalf of the entire community and is a strong supporter of the many activities and learning opportunities that occur throughout the District. More information on the recognition of our school board can be found at this link. Finally, this week has seen two local school districts in the news for actions by staff and students that were culturally insensitive and offensive. In the District one of our ongoing points of emphasis is to build a culture in all of our buildings where students feel respected, cared for, and valued. With all of the divisive talk that seems to dominate the news, there is never a better time to revisit the timeless characteristics of the Golden Rule and why now, more than ever, it is important for students to understand the value of it and put it into practice each and every day. In many situations, hurtful comments come not from a position of willful intolerance, but rather from a lack of sensitivity towards the feelings of others and a failure to consider how the receiving party will interpret the words that are directed at them. The beauty of the Golden Rule is it challenges all of us to consider first how we would wish to be treated, spoken to, or acted towards, and to apply that same standard to how we treat other people. As tough as these times can seem, I believe there is a wonderful teaching opportunity for our students, and I would encourage you to take a moment and talk to your child(ren) about the Golden Rule and why living by it is something they will never regret doing. P.S. For a nice, short additional read on the Golden Rule and how it plays out in workplace culture, click here to see a reflection by Gary Kelly, the CEO of Southwest Airlines. Even though it feels like Thanksgiving was just this past weekend, the weeks between Thanksgiving and winter break have once again flown by and the final few days of school for the first semester are upon us. This week’s Bulletin contains a number of short informational updates on happenings throughout the District. For all students, Wednesday, December 20th is the final day of classes for the 2nd quarter and first semester. Break officially begins for students on Thursday, December 21st. For our students at the high school, semester exams will be held on Monday, Tuesday, and Wednesday this week. Click on this link to be taken to the most recent high school newsletter that contains the exam schedule. In the area of athletics, the annual Bulldog Social in November was again a big success. This link will take you to an article with more specific details on the amount of money raised and the projects the Social benefits. Also, last week there were five construction companies that participated in the bid opening for the track renovation project. We expect to be able to award a bid no later than the January Board of Education meeting with construction to begin in February and wrap up in late June. This is the last major project that was made possible by the careful fiscal management of the Elementary School building project, and it is so exciting to be able to invest in campus improvements that benefit the entire community. This link will take you to the Building Projects page where the backstory on our ability to continue to invest at Bulldog Place is told. I hope that you and your family have a safe, restful, and joyous holiday season. The Bulldog Bulletin will take a brief winter slumber and return again on Saturday, January 13, 2018. Second, at the Board of Education meeting on Monday the calendars for the 2018-2019 and the 2019-2020 school years were approved. Click here to be re-drected to the District webpage where they are posted and available for download. Finally, I want to extend my appreciation to the Board and the entire Batavia Schools family for the opportunity to continue to serve as Superintendent through 2023. At the Board meeting a new five year contract was approved which begins at the conclusion of the current school year. On a personal note, I am grateful each day to have the opportunity to work in such a great place, and believe that there are lots of positive things ahead for the District. A special thanks to everyone who I work and interact with on a daily basis that collectively make Batavia a wonderful learning enviornment for students. 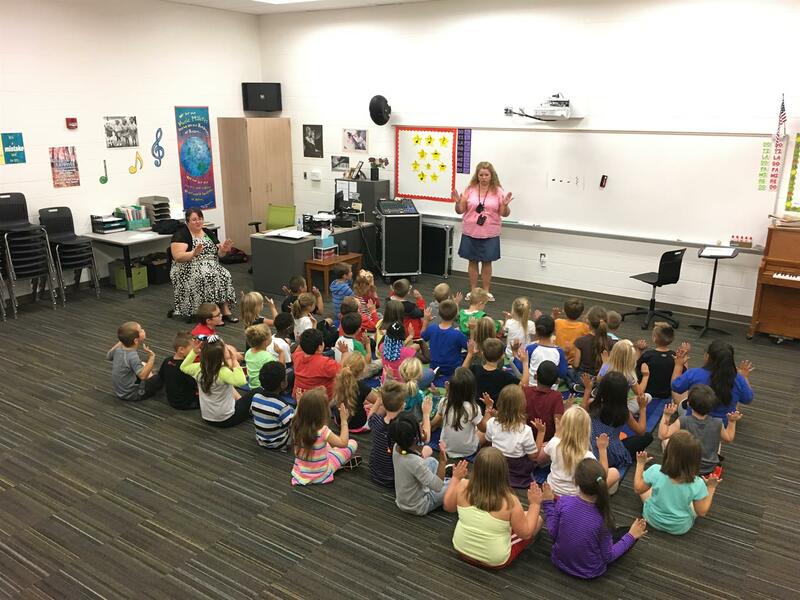 One of the initiatives for this school year has been to take a close look at Districtwide attendance and put measures in place to reduce absence rates for students. This has been done partially in response to the new State law on truancy reform (House Bill 410), but also out of a desire to improve overall student achievement and outcomes by examining barriers to strong daily attendance patterns. This week I provided a report to the Board of Education that looked at our progress so far in the categories of excused absences, unexcused absences, and tardies when comparing last school year to this school year. At the middle school, there has been an almost eight (8) percent decrease in excused absences, and and almost fourteen (14) percent decrease in tardies to school when comparing last year to this year. The high school has seen the most dramatic decreases so far, with a twenty (20) percent decrease in excused absences, a twenty two (22) percent decrease in unexcused absences, and an amazing forty nine (49) percent decrease in tardies when comparing this point in the school year to last year. I am proud of the efforts of our teachers, administrators, staff members, parents, and students who have made this a priority, and the early evidence shows that we are making a big impact in an area that will have a positive effect on student achievement throughout the District. Also this week, another plug for our upcoming Holiday Concert Series. The website has been updated with these events, and you can access the entire series schedule by clicking on this link. Finally, it’s hard to believe that somehow Thanksgiving has once again snuck up on us and the holiday season is now here. As Superintendent, I am lucky to have the opportunity to travel the District each day and interact with so many parents, staff members, and students who are all making a difference and doing great things both inside the schools and for the larger Batavia community. I am personally thankful each day for the opportunity to serve the school district, and am humbled by all of the great people I get the chance to work with each day. In this season where we are reminded to count our blessings, there is much to be grateful for within our school district. We will have school on Monday (11/20) and Tuesday (11/21), then will be off for Thanksgiving Break beginning Wednesday (11/22). Students will return to school on Monday, November 27th. The next Bulldog Bulletin will be published on Saturday, December 2nd. This edition of the Bulletin will focus on upcoming important dates as we head into the holiday months of November and December, as well as an update on the next phases of the building project at Bulldog Place. The turning of the calendar from November to December always brings important dates, including many fine arts performances that will be occurring. We once again are grateful for the incredible performance space we have at the elementary school, and all performances will once again be in this location. In addition to our concert schedule, there are also several days where school will not be in session that are worth reminding about. Finally, there are two important community events coming up in the District. This week there was also significant news on the next project that will be undertaken at Bulldog Place. At the most recent Board meeting this past week, the Board of Education approved a resolution authorizing the District to solicit bids for the much needed replacement of the high school track. This project continues our investment in the campus with a focus on projects that have a community wide and K-12 benefit. Bids will be opened in early December and should the numbers return favorably the goal will be to complete the project in the Spring of 2018 in order for the Stadium and track to be ready for athletic use by the Summer of 2018. A more detailed account of this project, and how it fits into the larger work that has been occurring on the campus can be found HERE. In addition to the announcement of the track project, another piece of exciting news is the decision by the District to select SFA architects as the group that will work with us on the planning for the high school renovation and the construction of a new middle school at Bulldog Place should the November 2018 ballot issue be successful. Planning for this type of major work has to occur well in advance of a proposed ballot issue, and it is our goal to have enough details ironed out to allow for community presentations early in 2018. This past week we kicked off the planning process by conducting the first of several detailed walkthroughs of the existing high school, in order to fine tune the scope of the proposed renovation and targeted expansion of the building. This type of work is always exciting, and our goal is to develop a final facilities plan that meets the needs of our growing student enrollment both from a physical building standpoint but also from a programming standpoint. Don’t forget to turn your clocks back an hour this Saturday (November 4th) and also remember that this is an excellent time to test your smoke alarms and replace any 9 Volt batteries that may be providing power to smoke alarm units. The next Bulldog Bulletin will be published on Saturday, November 18th. I hope you have been enjoying the fall weather so far as we move into the last half of October. The updates in this week’s Bulletin focus on the ongoing efforts throughout the District to create a positive and supportive learning climate for students. While it is inevitable that people are going to behave in ways that we may not wish, the staff members at every building work hard everyday on reinforcing positive character traits in order to bring out the best qualities in students and create an atmosphere where all students feel valued and supported. Specifically, there are three highlight pieces that underscore the work in this important area. First, this year the high school and middle school are engaged with High Schools That Work and Making Middle Grades Work. The partnership with these organizations is part of the commitment of the District to focus on continuous improvement for our buildings. At the core of these organizations are ten key practices that guide the work of buildings on this continuous improvement journey. Specifically, the focus areas of teacher collaboration, targeted student intervention, student engagement, and high expectations are all designed to create a strong learning community where students feel so valued and engaged that negative peer to peer behaviors are significantly diminished. While we realize the loftiness of this goal, the process of aligning the work of the buildings to a set of external, measurable standards is key in our journey towards this ideal state. Second, this year the District was awarded a grant from the Clermont County Family and Children First Council to implement whole grade level character based days at grades 3, 7, and 10. The first of these days, ‘ReDo Day’, is coming up for our sophomores on Tuesday, October 24th. ReDo (Respect Engage Defend Overcome) Day is a powerful, high-energy program in which student and adult participants are guided through a series of experiential learning processes. The overall goals of the program are to embrace diversity, increase personal power and self acceptance, shift negative peer pressure to positive peer support, and to eliminate the acceptability of bullying behavior (mistreatment of others), violence, and all forms of oppression. The program is designed to unite members of the school and community to carry forth the message of respect and caring for all. We are very excited about this opportunity for our sophomores and look forward to seeing the positive benefits of this day. Later this year, our 7th graders will once again participate in the ‘Courage Retreat’, and our 3rd grade students will have Jim Jones back as a special guest speaker on the power of positive thinking and relationships. Finally, we are once again participating in the Clermont County Prevention First! Youth Survey (also known as the Pride Survey) this year at the middle and high schools. This once every other year survey is designed to provide anonymous data on student attitudes towards a variety of issues and inform schools and Districts about trends that may need to be addressed within the school community. The value in this data is that it provides a glimpse at trends over time and give us insights into how to best design and implement programs within the school day to meet the needs of students. As the survey is anonymous, results are never linked to an individual student, and all data that comes back is aggregated at the building and District levels. To learn more about the survey, or to request a copy to preview, please click HERE. Should you wish to not have your child participate, please contact your child’s building principal. On a daily basis there are numerous things that occur which are all designed to make the student experience special and positive in Batavia. The work that is occurring to align practices between the three buildings is focused on creating the best learning climate possible for our students. I hope second quarter is off to a strong start for you and your family. A quick P.S. 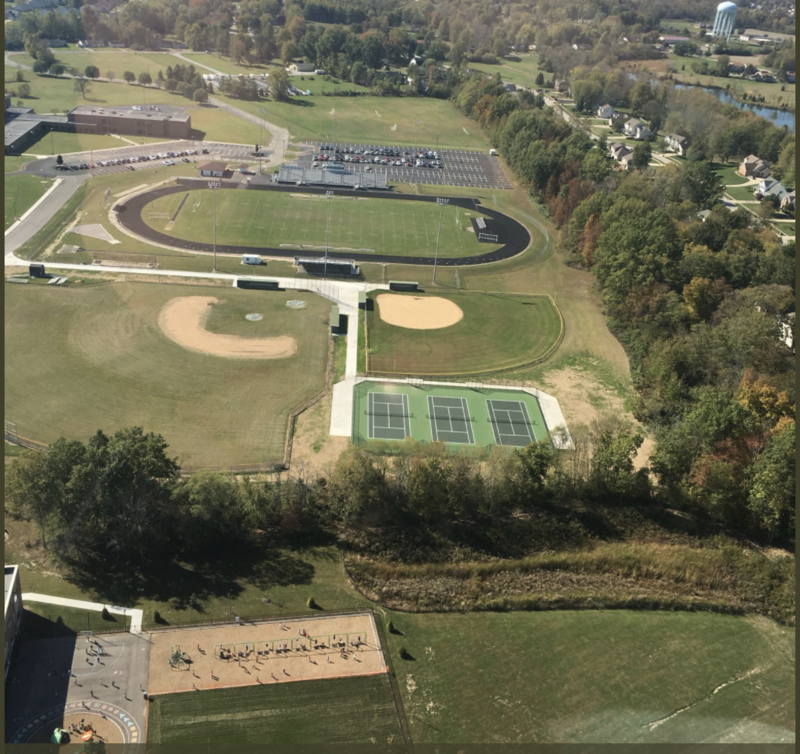 this week with a brand new aerial shot of the campus with the completed tennis courts, walkway, and baseball/softball plaza. This week will finish out the building spotlight series with a focus on the elementary school. It's hard to believe that it's been over a year since we moved in, and yet in many ways it feels like we've been here for a much longer time. Our students have benefited from the gym and the flexibility it provides for PE class as well as our playgrounds which provide lots of room for the students to run and play. The new building contains a number of flexible learning spaces that allows for all kinds of instructional opportunities. The fine arts and library spaces also give students plenty of room to read and explore the arts in ways not possible in the old building. It has been such a successful first year, and we are very thankful for the community support that allowed this building to be constructed and for the benefit it provides to the students. Finally, I wanted to take the opportunity to once again share our protocols for when we will and will not communicate with families in the event of circumstances that could potentially alter District operations. As senseless events continue to dominate the headlines, it is important to work on keeping a healthy perspective and remember that these events, while horrible, are statistically small when compared to the entire population of the country. In the event that there is a building or campus lockdown, building evacuation due to fire or a credible threat, campus evacuation to an alternative site due to safety reasons, or the cancellation of school due to weather, we WILL use the voice calling feature and the email notification system from One Call Now, the official District and building Twitter accounts, and the District Facebook page. There will be times however where we WILL NOT use our communication systems to send instant notifications. These include times when students make non-credible or non-actionable threats, instances where investigations occur that do not lead to a lockdown situation, regularly scheduled safety drills, or scenarios where there may be issues near our schools that do not impact building operations or the safety of our students. The general rule of thumb should be that in the absence of a communication from the District, students are safe, the campuses are secure, and learning is occurring as normal. Should you have specific questions regarding building safety and security measures, please contact your building principal either by phone or email in order to have your questions addressed. Thank you again for your support of Batavia. The first quarter ends on Friday, October 13, and we will be off on Monday, October 16th for fall break. Students will return on Tuesday, October 17th to begin the second quarter. The next Bulldog Bulletin will be published on Saturday, October 21st.